All PIZ BUIN® suncare products contain our advanced UVA/UVB sun protection to ensure you get effective sun protection. However, we believe we can never know too much about the sun and the potential effects it can have on us. Below are some important facts about the sun and how to best enjoy it responsibly. The sun provides the earth with life-giving energy and is the major factor in determining the earth's climate and weather. The sun not only sends visible light to the earth but also invisible radiation that can have a negative impact on our health if received in doses that are too high. Solar radiation consists of a broad variety of rays. Some don't even reach the earth as they are blocked by the ozone layer. Radiation that reaches the earth consists of visible rays, infrared rays (IR) and ultraviolet rays (UV). 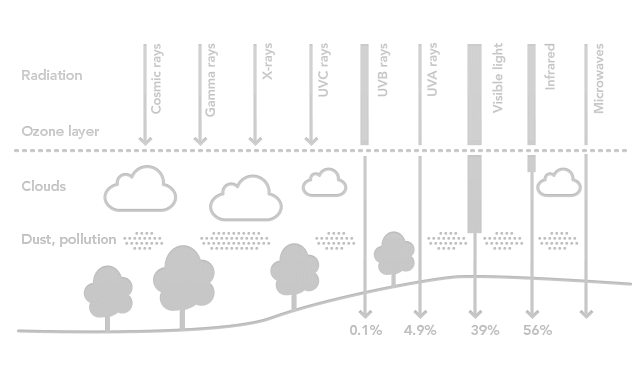 UV radiation is further divided into UVA, UVB and UVC rays, depending on their wavelength. UVC rays are also blocked by the ozone layer. Visible light comprises all the colours we see with the naked eye. Infrared (IR) rays transport heat energy, enabling us to experience heat. Ultraviolet (UV) rays are invisible and are divided into UVA, UVB and UVC rays. UVA rays cause long-term skin damage, including skin cancer and premature skin ageing, while UVB rays are the main cause of sunburn. Approximately 10 times more UVA rays reach the earth's surface than UVB rays. 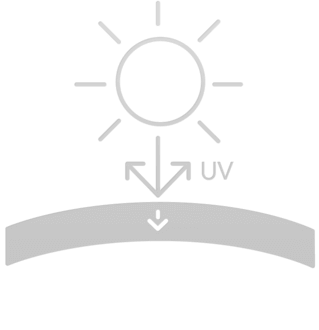 UVC rays are absorbed by the earth's atmosphere and don't affect the skin. The intensity of sun radiation is dependent on several factors, including the time of year, time of day, latitude, altitude, ground reflections and weather conditions. 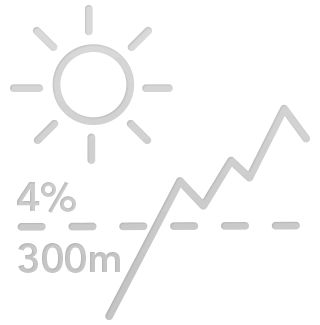 The sun is brighter at midday, for example, and at high altitudes, less UV radiation is absorbed by the thinner atmosphere. The sun makes life on earth possible, but it can also have harmful effects — especially without sufficient sun protection. The first colour-related effect of exposure to the sun is known as "immediate pigmentation", or a colouring that appears during exposure and disappears within 2 hours. 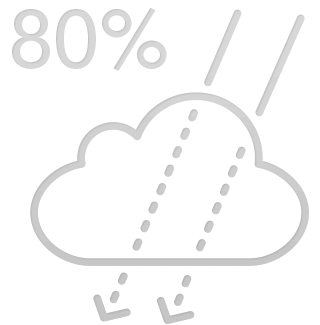 Caused by UVA and visible light, immediate pigmentation does not protect against sunburn. PPD appears during exposure and remains for up to several days. It is not protective. If you don't protect yourself from high doses of UV rays, these rays will start penetrating the layers of the skin. Eventually, blood vessels below the skin's surface will expand and leak fluids, causing inflammation and redness. Sunburn normally first appears 2-6 hours after the start of exposure, reaches its maximum intensity within 24-36 hours and disappears after 3-5 days. Tanning starts 3-5 days after sun exposure, when special skin cells called melanocytes start synthesising melanin, the body's natural tanning pigment. Melanin is then transferred to neighbouring cells called keratinocytes, which are the main cell type in the epidermis or upper layer of your skin. Unlike immediate pigmentation, actual tanning does help protect against the harmful effects of UV radiation. Tanning fades progressively, but remember that people with a natural suntan also need to apply sunscreen, as a tan does not provide sufficient protection from UV exposure. Sun exposure plays a major role in the skin's ageing process. Up to 90% of all visible signs of ageing can be attributed to the harmful effects of sun exposure. Skin cancer, or malignant melanoma, appears to be caused by damage to the DNA structure of skin cells that are exposed to the sun — with just 5% of all carcinomas occurring on areas of the skin that are not exposed. Damage to these skin cells leads to the growth of degenerated cells that in turn result in cancer. In Europe, skin cancer is far more prevalent in the north, where people's skin tends to contain less pigmentation. The most common type of sun-induced skin eruption is the benign summer light eruption (BSLE). Particularly common among young women, BSLE appears as small, itchy papules on the throat, upper chest and back of the forearms. The condition appears within hours after intense sun exposure and disappears within a few days. The skin easily dehydrates. It becomes tight, red and sun stressed. Defending the skin against cold, wind and intense sun requires a particular type of protection. In the mountains, your skin requires a specific kind of protection. Therefore, it is better to use a sunscreen that helps to defend your skin against cold, wind and intense sun. 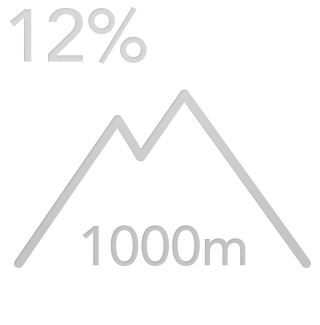 PIZ BUIN® MOUNTAIN helps to protect your skin in high altitude mountain conditions. Please see our general tips for safe, effective sunscreen application. How do sun filters work? The key technology used in any sunscreen is the UV filter. UV filters can be either chemical or physical. Chemical filters work by absorbing UV light and converting it to higher wavelength rays that are less harmful to the skin. Physical filters reflect, transmit or partially absorb light and can protect against both UVA and UVB radiation. 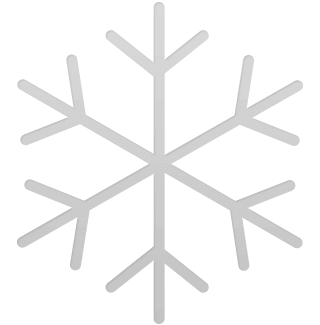 The two most common physical filters are titanium dioxide and zinc oxide. What does Sun Protection Factor (SPF) mean? The Sun Protection Factor (SPF) specified on your bottle of sunscreen tells you how much protection your sunscreen offers against UVB rays. In general, the higher the SPF number of your sunscreen, the greater the protection, so an SPF 6 or 10 offers low protection, SPF 15, 20 or 25 offers medium protection, SPF 30 or 50 offers high protection, and SPF 50+ offers very high protection. This is measured using a standardised test. The SPF number indicates how many times longer you can stay in the sun before starting to burn. The way it works is that you take the number of minutes it normally takes your skin to burn in the sun with no protection (let's say 15 minutes). Then, you multiply that number by the SPF number (in this case, Factor 6). 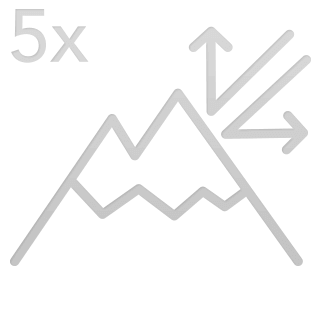 Since 15 x 6 = 90, you should have 90 minutes before you start to get a sun burn. In other words, the higher the SPF the greater the protection of your sunscreen. But remember these are theoretical values. 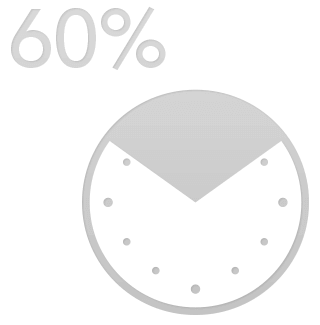 In reality, the time depends, among other factors, on your skin phototype and the local UV intensity. To choose the right SPF, you need to consider several factors. The most important of these is your skin's phototype, which includes the colour of your skin before exposure to the sun, your hair and eye colour and other factors. You also need to think about where you are going on holiday and what time of year it is. What does "Photostable" protection mean? To protect the skin, sunscreen uses UV filters that absorb radiation from the sun. 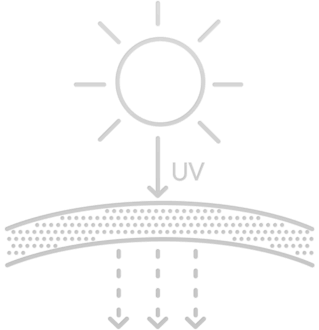 When a sunscreen is exposed to this radiation, it can alter the chemical structure of the UV filters, thus degrading their protective capabilities. A "photostable" sunscreen is able to withstand the effects of UV exposure better, so it keeps its level of protection. All PIZ BUIN® sun protection products provide photostable protection. What does "broad-spectrum protection" mean? A sunscreen with broad-spectrum protection means it has the ability to protect against the harmful effects of both UVA (ageing rays) and UVB (burning rays). 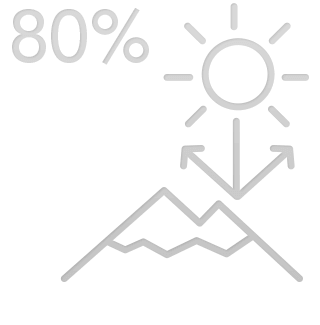 To be classified as offering broad-spectrum protection, a sunscreen product needs to absorb or reflect at least 90% of the UV rays from the 290 to 400 nanometres (nm) wavelength range. All PIZ BUIN® sun protection products provide broad-spectrum protection. 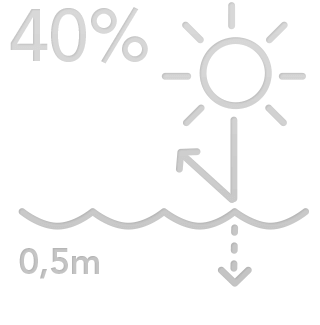 It's important that your sunscreen is water resistant when you go swimming because UV radiation half a metre below the surface of water is still 40% as intense as it is on the surface. You also need to protect the part of your body that's above the surface, as water reflects some 25% of UV radiation and can intensify the harmful effects. Almost all* PIZ BUIN® sun protection products range from being water resistant to extra water resistant like our PIZ BUIN WET SKIN® Transparent Sun Spray. *The following product is not water resistant: Allergy Spray SPF30. Going on holiday often means exposing your skin to the sun for the first time after a long winter of cold weather and warm clothes. It's important to devote extra attention to your skin before you leave to make sure it is ready for the sudden change. Apply sunscreen at least 20 minutes before going out in the sun to allow maximum absorption and protection. Make sure you're applying enough sunscreen. An insufficient quantity lowers the level of protection significantly. Pay special care to more sensitive areas, such as your ears, nose shoulders, cleavage and neck. Don't neglect hard to reach and easily forgotten places, such as your ears, feet and upper back. Re-apply sunscreen every 2 hours. Apply more frequently after swimming, sweating or towelling. Try to avoid intense midday sun from 11:00am and 3:00pm during the summer months or when on holiday in tropical countries. If you are taking medication, check with your doctor or pharmacist to make sure it's OK to spend time in the sun. Some medicines can make the skin more sensitive to the sun's rays. Overexposure to the sun can threaten your health, so avoid staying out in the sun too long, even when using a sunscreen. Protect children. Children are particularly vulnerable to the effects of UV radiation and often spend more time outdoors than adults. Parents should take special care to protect them from the sun using protective clothing, hats, sunglasses and sunscreen. Keep babies and young children out of direct sunlight. Different skin types react to the sun in different ways, so the type of skin you have influences how long you can stay in the sun and what types of sunscreen you need. Will using sunscreen stop me from getting a tan? Quite the reverse is true. Although your skin changes colour more slowly when you're wearing sunscreen, the resulting tan will be better and longer-lasting because the sunscreen will prevent your skin from burning and peeling. Some PIZ BUIN® products even contain special ingredients that stimulate the natural production and the even distribution of tanning pigments in the skin. How long does sunscreen last before it goes out of date? It depends on whether or not the bottle has been opened. All PIZ BUIN® sunscreen is tested according to EU legislation and has a useful life span of more than 30 months. If your bottle has been opened for more than 12 months, you will need to purchase a new bottle. Can I decrease the level of SPF as I spend more time in the sun? How quickly? You can decrease your protection level step-by-step during your holiday as soon as your skin has produced its own defence system: the tan. After a few days of effective protection, try moving from a high protection product to a medium one. But remember that people with a natural suntan also need to apply sunscreen as a tan does not provide sufficient protection from UV exposure. 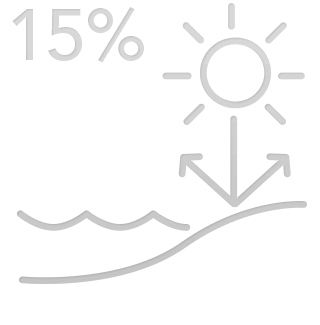 Also bear in mind, that the SPF level you need largely depends on your skin phototype and the local UV intensity. If you are unsure about the right SPF level for your sunscreen, always choose the higher one.